If comparison is the thief of joy, it’s not surprising that Australians dread making decisions about an energy supplier. When there are too many options on the market, it’s easy to wonder whether or not you’ve picked the right one, long after you sign on the dotted line. Shopping around for a supplier used to be a long, drawn-out process packed with phone calls, paperwork, and spreadsheets. You may have found yourself agreeing to an energy plan just to get the decision out of the way, not because you were getting a great price. Well, those days are gone. Thanks to online technology, you don’t have to worry that you’re overpaying on your energy bills when you use ElectricityandGas.com.au. All you have to do is enter a few basic details and the service will scan its extensive database of plans to provide you with a personalised list of options. If you have questions about the details of a plan, that’s easy too. A quick chat with a knowledgeable Electricity and Gas consultant should clear up any confusion, so you can make an informed decision and feel good about it. Energy prices are notorious for fluctuating, and unfortunately they seem to be moving in an upward direction. Now more than ever is the time to compare energy plans, so you can lock in an affordable price while they’re still available. An abundance of choice is still a good thing, as long as you have ElectricityandGas.com.au to do the heavy lifting for you. If you’ve been on the same plan for years, you could be paying too much for your energy usage. Now that Electricity and Gas has taken the pain out of changing suppliers, it’s a great time to compare plans. Your consultant can help you find a great balance between your usage, the cost of energy, and any additional concessions that may be available to you. Choice can certainly be overwhelming, but it doesn’t have to be expensive. This is one decision that you don’t have to agonise about any longer. 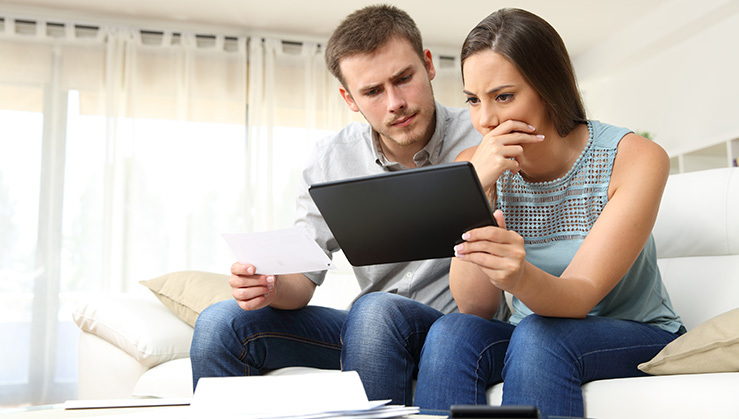 Visit ElectricityandGas.com.au today to find an affordable energy plan that won’t break the bank—it may be the easiest decision you make all day.